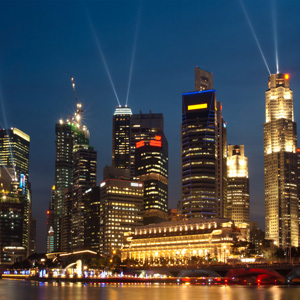 This week, Singapore hosts the third edition of World Cities Summit, the 5th Singapore International Water Week and the inaugural CleanEnviro Summit Singapore. The co-location of the three events will showcase Singapore’s global leadership in sustainable development of livable future cities as well as enable 15,000 high-level delegates, exhibitors and participants to delve into more in-depth discussions on water and waste management strategies as well as explore synergies, network and forge partnerships. Singapore Company Registration specialist Rikvin is confident that the three concurrent events affirm Singapore’s reputation not only as a host of one of the world’s leading urban planning and integrated solutions showcases, but position it as an influencer and incubator of new urban planning technologies. “Integrated solutions such as green buildings, energy, waste and water management, public safety, green networks and smart transport systems are increasingly embraced by policy makers when addressing pressing urbanization challenges. By facilitating greater discourse on this via these global events, Singapore is positioning itself as a thought leader. The Singapore government has already embarked on integrated solutions with projects such as Punggol eco-town, Marina Bay and Jurong Lake District,” said Mr. Satish Bakhda, Head of Rikvin Operations. Showcased at the Singapore pavilion of 2010’s Venice Biennale, the model discussed Singapore as a compelling model for the future compact cities and won accolades all over. “Awareness about the environment and climate change is gaining traction in Asia. In particular, growing waste volumes due to rapid urbanization could undermine the quality of life in the region. Singapore, which is in close proximity to emerging powers India and China is well-positioned to foster greater dialogue, as well as show to the world that growth and sustainability can co-exist via an integrated development approach,” added Mr. Bakhda. “This week’s events demonstrate how far Singapore has come to become a model sustainable city and urban planner. We are optimistic that Singapore will continue to play an integral role in the region’s development goals and in the near future, we anticipate that Singapore will breed more designers and urban planners and entice the best brains in city planning to study Singapore and see Singapore company formation as a route to tapping opportunities from emerging markets,” affirmed Mr. Bakhda.